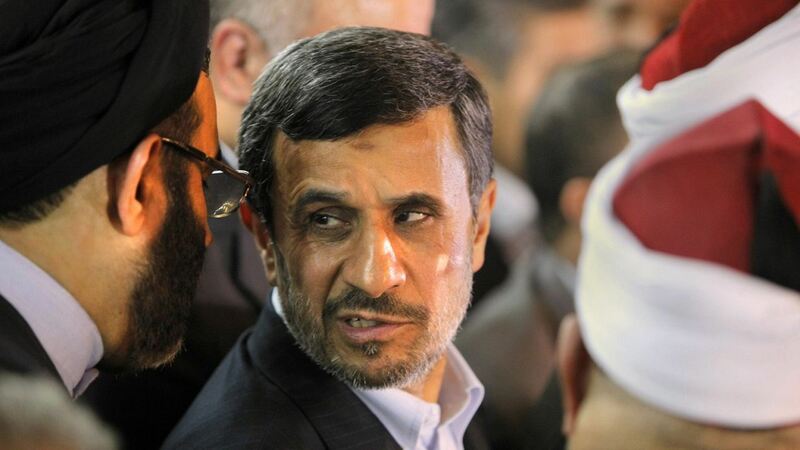 Mahmoud Ahmadinejad was born on 28 October 1956 in a small village in Iran called Aradan, birth time unknown. I’ve part intuited, part rectified the birth time and am very confident it is accurate. 4:34 am gives an Ascendant of 12 Libra which means the fixed star Algorab was rising when he was born. This “kill or be killed” star is linked to terrorism and in particular the attacks on the World Trade Center in New York. It can give an aggressive and agitating nature which was on display in Mahmoud’s latest address to the United Nations, where he accused the USA of orchestrating, or at least allowing the September 11 attacks. The Midheaven of 13 Cancer means the brightest star of all, the fixed star Sirius, was culminating overhead when he was born. The ancient Persian name for Sirius was “The Leader”. Supreme Leader Ayatollah Khamenei authorized Mamoud’s presidency in August 2005, following a New Moon on Sirius. The previous Lunar Eclipse was conjunct his Sun. Sirius has always been linked to fame, and Robson say that Sirius culminating gives “High office under Government giving great profit and reputation” , and Ebertin says that when Sirius is near the Midheaven and in good aspect to Mars that there is good fortune in matters of government . Mahmoud does have Mars favorably aspecting his Midheaven, the trine gives him a strong sense of his calling in life and the self confidence to carry it out. His Mars on the fixed star Achernar gives success in public office , and it is also on the fixed star Ankaa which gives power, ambition and fame . The transiting Sun was opposite his Mars during his inflammatory speech in New York today, and transiting Mars was on his Sun. Also influencing his communication style is his natal Moon which is on a star in the mouth of the Lion called Ras Elased Borealis, “said to indicate those with an appreciation for language and a power of expression, but also those who may be heartless and cruel” . Now the planet ruling the mind and communication is Mercury, and Mahmoud is a path finder here with the most fortunate fixed star Arcturus on his Mercury, adding to his leadership qualities and Ebertin says it has a reputation of achieving “justice through power” . Venus conjunct Jupiter is an indicator of adoration which Mahmoud does enjoy among his followers in the Muslim world. It is a fortunate and attractive conjunction, though there is a darker side with Venus conjunct the fixed star Alkaid. The name comes from the Arabic Ka’id Banat al Na’ash, the Governor of the Daughters of the Bier,“The Chief of the Mourners” , and Ebertin found that when this star is activated “many human lives are to be mourned” . Noonan say that Alkaid was known as “the destroyer of nations” by Islamic astrologers. 1. Fixed Stars and Constellations in Astrology, Vivian E. Robson, 1923, p. 208, 116, 57. 2. Fixed Stars and Their Interpretation, Elsbeth Ebertin, 1928, p.38, 63, 57. 3. Fixed Stars and Judicial Astrology, George Noonan, 1990, p.32, 5. 4. Star Names, Their Lore and Meaning, Richard Hinckley Allen, 1889, p.441. 5. Planets in Transit, Robert Hand, 2001, p.365. Jamie, interesting article on A.
I noted “Alkaid”, which is at 27^ Virgo. Mars will be there on June 27,2012 on the day, when Venus, ruler of his map is stationary. Also, the Solar eclipse at 0^ Gem. will hit his Neptune, Saturn and Pluto. Will the planets “help” remove him from the world stage?